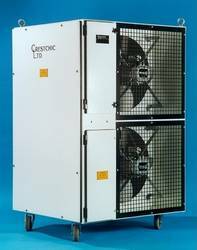 100-300kW Crestchic loadbanks are packaged in a stainless steel enclosure for outdoor operation. It is designed for easy transport complete with lifting eyes in the top corners. Loadbanks can be used for single phase or three phase applications. Currently we have 100kW and 200kW versions in stock.